Road and traffic signs have come a long way since the distances to towns and cities were simply carved into large stone slabs and stuck in the ground. As traffic volumes continue to increase, road signs are playing even more important roles in managing the flow of traffic, easing congestion, or informing motorists of impending danger. 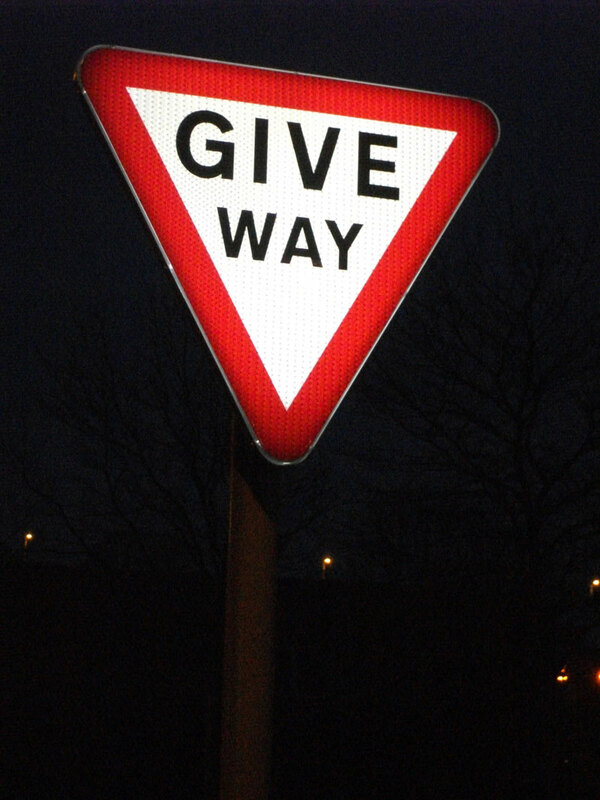 As the UK’s road networks are advancing, so too are road signs. Intelligent LED road signs are now common-place on country roads, city centres, and motorways, all with varying roles. LED road signs might have already been installed in your local area, though you may not know it until night falls. 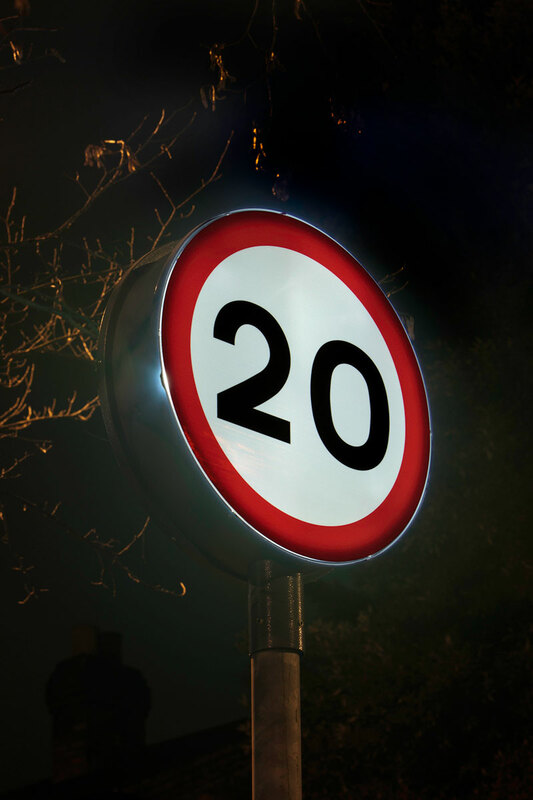 And there are a number of reasons behind this shift towards increased road sign illumination in the UK, namely; the increase in the amount of vehicles on the road, safety trends, and changing vehicle designs. Additionally, in the last 20 years, life expectancy in the UK has increased to 79.9 years, and because people are living longer, they’re also driving longer. LEDs are the illuminators of choice for this particular requirement, due to their long life, reliability and efficiency. In that respect they are perfectly designed for road signs for which these two factors are paramount. Providing one hundred percent illumination, LED’s are rapidly replacing non-illuminated and Type A (incandescent) overhead signs, which only receive up to 10 percent of a vehicle’s headlamp illumination. 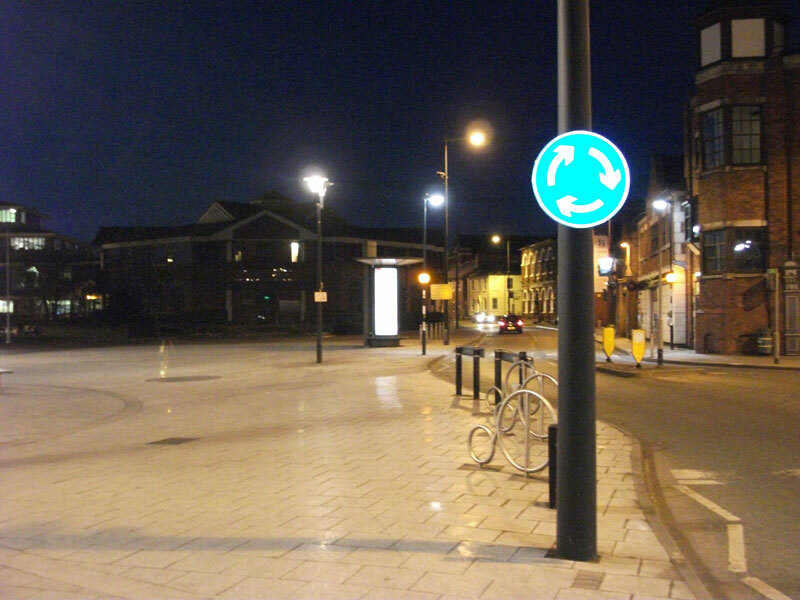 As well as making signs easier to see for oncoming traffic, it also reduces the amount of light pollution that occurs with Type A signs that spread light indiscriminately and may affect nearby residences and businesses. Being internally lit, LEDs only illuminate the sign itself, and also increase sign visibility, which can help to reduce the number of accidents. Not only are LED road signs more dependable, they are also more environmentally friendly and energy efficient, providing significant energy savings when compared to their incandescent counterparts. An LED road sign will save around 77 percent energy compared to an externally lit sign, and 68 percent compared to a conventional internally lit sign, which leads to a smaller carbon footprint. Furthermore, a typical LED will have a life expectancy in excess of 50,000 hours, roughly five years – greatly reducing an authority or agency’s maintenance schedules as well as cutting the cost of replacing bulbs on a regular basis. 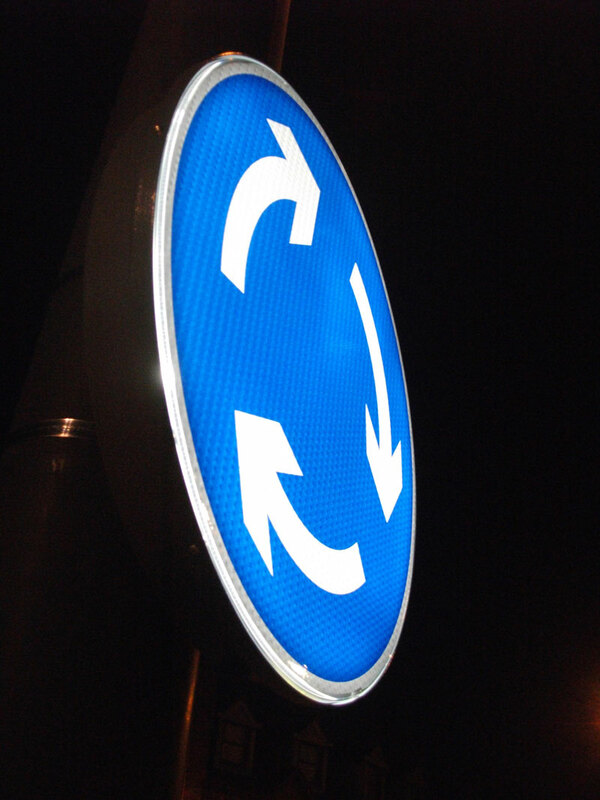 As the benefits of LED road signs become more apparent, two organisations have formed a strategic partnership to provide local authorities and contractors with a sophisticated control and monitoring system when rolling out LED road signs. One2See, specialist manufactures of illuminated LED road signs, are working with Harvard Engineering PLC, a world leader in the design, development and manufacture of control products for the lighting industry. 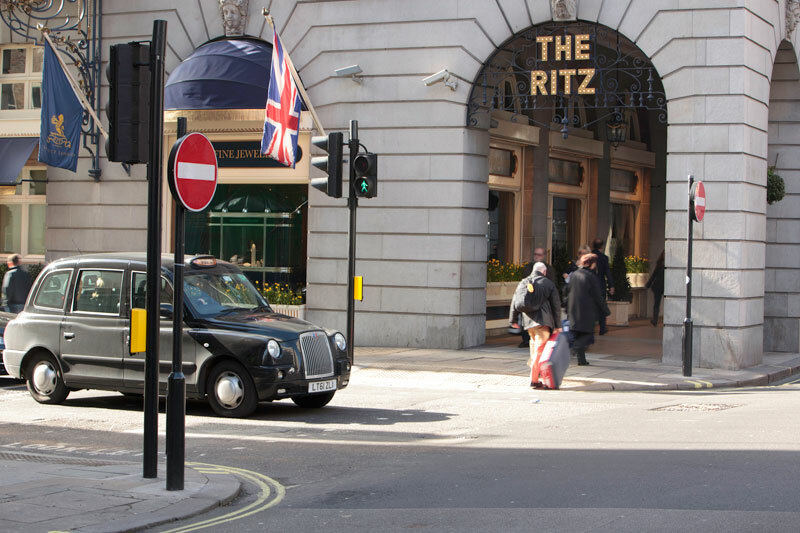 The partnership will see Harvard’s advanced wireless monitoring and control system, LeafNut, being installed alongside One2See Signs’ internally illuminated LED signs, which will enable authorities and operators to totally control and monitor the signs. LeafNut uses WiMAC wireless CMS (Central Management System) technology to remotely monitor and control the output of each individual sign. Using a combination of GPRS and radio frequency, lighting operators can easily configure and manage the light output via LeafNut, thus enabling the dimming of individual lights to match the specific requirements of various locations throughout the night. Each lighting point is monitored so any faults are reported directly to the operators. The new solution will also give local authorities the ability to save energy and carbon emissions through accurately timed switching on and off, as well as being able to remotely manage lighting schedules and inventory. In addition, there will be a reduction in night scouting costs due to LeafNut’s unique reporting feature, which can accurately predict lamp failure. Worldwide, LeafNut has already been installed by nearly 100 local authorities and closer to home authorities such as Surrey County Council, Richmond, and prestigious areas such as the Crown Estate and Westminster City have employed the technology in their road sign lighting and are already making significant savings on energy costs and carbon emissions, as well as aiding road safety. Stay calm – wine is here! Discover the latest projects, industry news and new products for the UK sign and graphics industry.